Amazon.com has been rated one of the most admired company in the US, #1 in Innovation and # 1 in Customer Service. Additionally, Amazon’s technology business has a history and growing tradition of leading the world in Web-related technologies and services. Now, with Amazon Web Services (AWS), you have the opportunity to help individuals and businesses take their computing infrastructure and applications into the Cloud. AWS has gained a reputation for innovation with a fast pace release cycle delivering hundreds of features a year, and AWS Support is one of the largest and fastest growing AWS business units. Don’t be confused by the name. We are a highly technical, innovative organization revolutionizing the way customers engage and seek help from AWS. Our customers include very large Enterprises (e.g. NASDAQ, Adobe, Kellogg's, Unilever); Public Sector (e.g. NASA JPL, Stanford) as well as fast growing businesses and internet companies (e.g. Netflix, Airbnb). We will redefine the word “support” and lead the industry with best in class technology. The AWS Support organization is global with team members in 20 locations around the world. The organization is a self-standing business with revenue and P&L responsibility. We are looking for a smart, enthusiastic, and creative engineers with a solid background in solving hard problems that span the software development, systems engineering and systems security disciplines. As a member of the DevOps team, you will be charged with adapting, scaling and operating all of the software use to run the AWS support business. 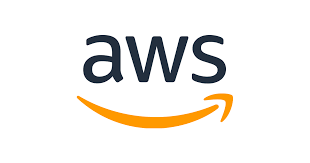 You will be a member of a team of highly motivated and talented team of systems developers and systems engineers helping to shape the future of Support technologies both within isolated AWS regions and in the AWS public regions. Diving deeper into the role, on a day to day basis you will be working with services like Trusted Advisor and the Support Case Management System to adapt their software to the unique challenge of operation in isolation. You will lead the ground up installation of major software systems, troubleshoot hard problems using the skills of a Linux expert and automate everything you can find. You will work on developing the team's own tools to enable you to scale as new isolated regions are added. You will also build relationships with the commercial software development teams to ensure a seamless customer experience across all regions. · Experience with UI development and building innovative user experiences.